July 26, 2018  Facebook's user growth and earnings fell short of expectations in a second quarter report, sending its stock prices plunging. 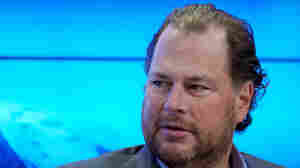 July 19, 2018  Salesforce CEO Marc Benioff has been under mounting pressure for the company's contract with U.S. Customs and Border Patrol. A Texas nonprofit says it won't accept a contribution from the company. July 18, 2018  The European Commission alleges that by forcing device-makers to install Google apps on Android devices it gains a significant advantage over competitors. Google plans to appeal. 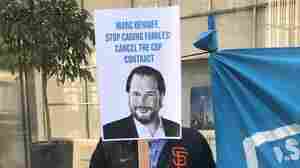 July 14, 2018  Workers from Salesforce, Microsoft and other firms have been putting pressure on the companies, arguing that they support immoral policies through their ties to the federal government. July 9, 2018  The port of Los Angeles braces for the fallout of the escalating trade war between China and the U.S. More than half of the goods that pass through this port are going to or coming from China. June 19, 2018  IBM unveiled a computer that is taking artificial intelligence to the next level. The computer debated a person in front of a live audience. Who won? June 6, 2018  We look at results after eight states had primary elections Tuesday. Also, Facebook gave data access to Chinese companies, and a look inside a controversial Ukrainian clinic making embryos. 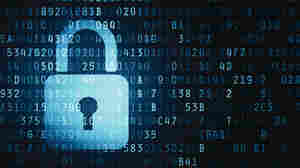 June 6, 2018  Facebook shared user data with Chinese companies including Huawei, a company American intelligence officials view as a security threat. 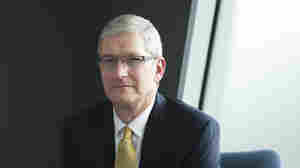 June 4, 2018  Apple's CEO Tim Cook denies that Apple is implicated in Facebook's latest scandal. He speaks with NPR at the Apple Worldwide Developers Conference in San Jose, Calif.
May 21, 2018  Historic sites around the world face mounting threats: war, climate change, natural disaster. 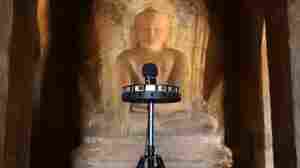 There's a rush to use 3D scans for preservation. But experts have questions about how the scans are used. 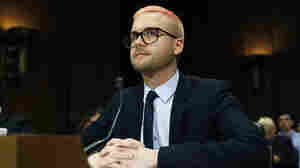 May 16, 2018  Cambridge Analytica used Facebook to find and target Americans to trigger paranoia and racial biases, Christopher Wylie, a former worker for the data analytics firm, told lawmakers on Wednesday.